The term ‘data visualisation’ is widely used. The five tools listed below are specifically for visualisation of business information and provide a variety of graphs, charts, maps and dashboards. Three are web based and two are installed on a local computer. Web based tools require no installation, maintenance or security, while local software is at least available without a connection – the choice is yours. This is a free online service for the creation of charts, graphs and maps. Options include bar, column, pie, line and area charts, as well as scatter plots, Venn diagrams, radar charts, organisation charts, automated timelines, motion charts, gauges, and a variety of maps. As with most products of this type it is fairly easy to publish the charts online. This is an ideal web based tool for simple data visualisation tasks. 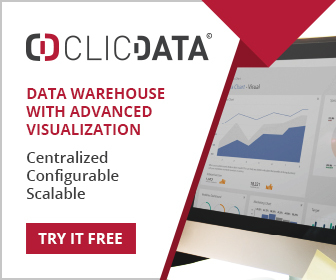 Data stored in spreadsheets and databases can be transformed into a variety of visuals including a variety of graphs and map formats. The service is free for up to 50 MB of data and 5 data sources per dashboard. The dashboards are built using a drag and drop interface and can be shared online with other users. Graphs include column, bar, stacked, pie, 3D pie, line, stacked areas and radar. Geographical maps, gauges and scatter plots are also supported. This is essentially a set of software tools for creating a wide variety of data visualisations. This is a very rich environment for visualisation with support for animation, dynamic queries and integrated search and database connectivity. Support is provided for visualisation of networks in addition to the usual charts and graphs. Spago offers a very broad suite of business intelligence and data mining tools. However three components are dedicated to visualisation – reporting, charts and interactive cockpits. The latter allows dashboards to be created. A wide variety of visualisations are supported including line, bar, and pie charts, maps, scatter diagrams, bubble graphs, dispersion graphs and so on. SpagoBI is touted as the only 100% open source BI suite, and users may want to look at its capabilities beyond visualisation. This is the free version of Tableau, a fully blown commercial analysis and visualisation suite. It supports charts, graphs, maps and dashboards and is essentially a web based service. Publishing visualisations to the web is a fairly straightforward affair for those with the relevant skills. Data Visualisation – Just BlingWare?